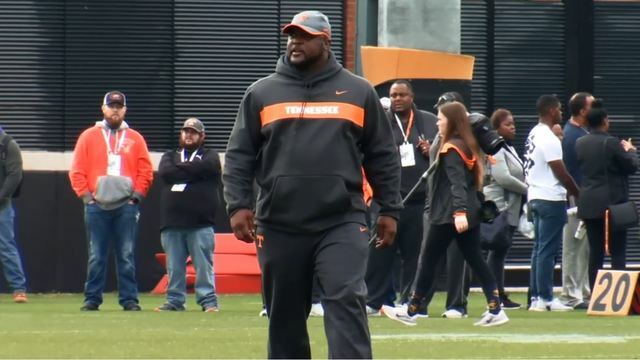 KNOXVILLE, Tenn. (WATE) - Tennessee football coach Jeremy Pruitt wants to see Neyland filled like a fall game when the Vols take the field on April 13 for the annual Orange and White spring game. The senior season starts with that spring game, said Juan Jennings, one of only nine true seniors on the team. "It's s small group, but I think it's a group that has put a lot into the Unversity of Tennessee," Pruitt said Wednesday. "I think they have represented the University of Tennessee very well. They are guys that will graduate from here. I think they're hungry." The Orange and White game starts at 6 p.m. on April 13 and will be shown live on the SEC Network. Only three practices remain for Tennessee before the spring game.